Nuclear war has ruined the planet. 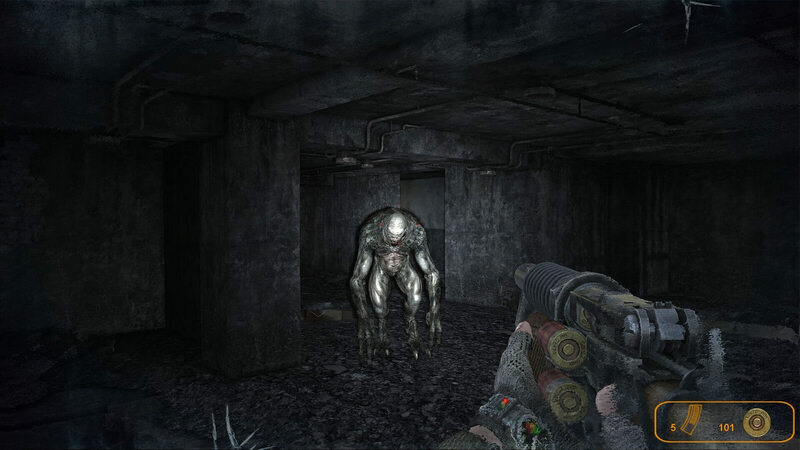 In Moscow, the survivors huddle for shelter in the disused Metro system while the surface is ravaged by mutated creatures who occasionally venture underground to attack any humans they find. My character, Artyom, didn’t know a world before the bombs. As the attacks by the mutants grow bolder, a soldier named Hunter tasks me to go to the Metro’s main hub and seek help from other survivors. Life in the Metro is harsh. Otherwise, it so far seems to be a by-the-numbers FPS, gameplay-wise at least. I’m hoping that since the story was based on the novel of the same name, that this is where it’ll set itself apart from the rest of the pack. So far, so average. 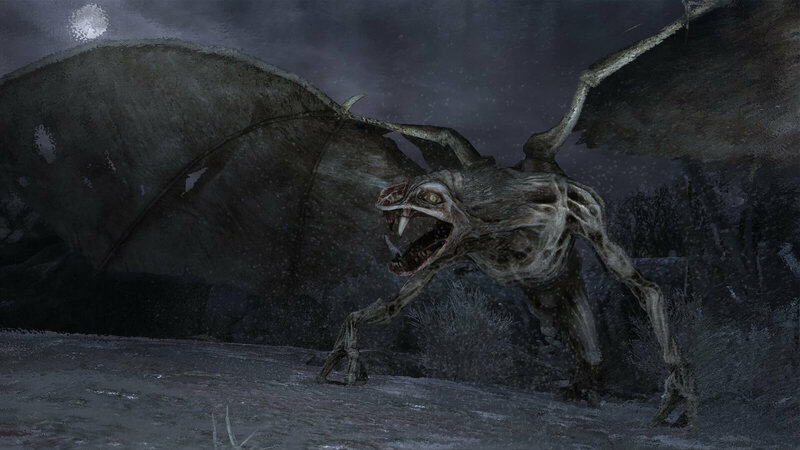 Metro 2033 is pretty, but that seems to be all that’s going for it right now. There’s an element of claustrophobia when I’m being bombarded by creatures from all angles during one of the numerous action sequences which pit me and my sweaty gas mask against the mutants. Please wait while I reload my shotgun painfully slowly, OK? The controls are infuriating, especially when it comes to weapon switching. The previous and next buttons are painfully slow to execute, and there’s no easy way to select throwable weapons other than cycling through the rest of your guns. It feels like something from the 90s. If ammo wasn’t so limited, this might not be a problem. But it seems that “grit” and “realism” translates to “annoying” and “bloody awkward” in post-apocalyptic Russia, where the simple act of automatically changing to a weapon you have bullets for is beyond the realms of common sense. The preference instead is to simply sit there clicking your empty gun as hordes of flying beasts rip your face off. Similarly, one of the shotgun variants requires you to hit reload three times to fully replenish it from empty. What madness is this?! In another rather pointless gimmick, you have to keep finding filters for your gas mask or your breathing becomes laboured and it becomes harder to see. There’s a button specifically mapped to changing your filter… but if you have a new one, Artyom will automatically use it anyway. So, other than being able to see a little better a little sooner, there appears to be no benefit to this function even though a whole button has been dedicated to it. Gah. Gunplay is awful. I mean, truly terrible. I can aim the crosshair at a guy’s head but it’s anyone’s guess if the gun will fire even vaguely in the right direction. The disconnect between trigger and result is astounding, resulting in a spray-and-pray style of firefight I’ve not seen since since some of the early iterations of Counter-Strike. When they aren’t screaming at me during battle, they’re gurgling and spluttering with some fantastically over-the-top death rattles. The dialogue is straight out of a bargain bin DVD film, probably starring Steven Seagal. The difference is the voice acting here is actually worse. One of my allies, a guy called Bourbon, speaks with a monotone Russian accent so soporific that I found myself forgetting what he’d said at the start of a sentence. Thank goodness for subtitles to help move on the pedestrian plot. The rest of the cast, sadly, aren’t much better. I’ve just experienced a spooky sequence in a tunnel involving silhouettes which was genuinely unnerving, although it does mean the plot has now pivoted into full supernatural shenanigans. It was also undercut by an action sequence where my new companion, Khan, warned me of incoming mutants and then promptly killed them all with zero input from me. He’s obviously far happier with the erratic crosshair on his weapons than I am. Spooky, but the horror aspect is sadly underused. I’ll be honest: I’m not enjoying Metro 2033. 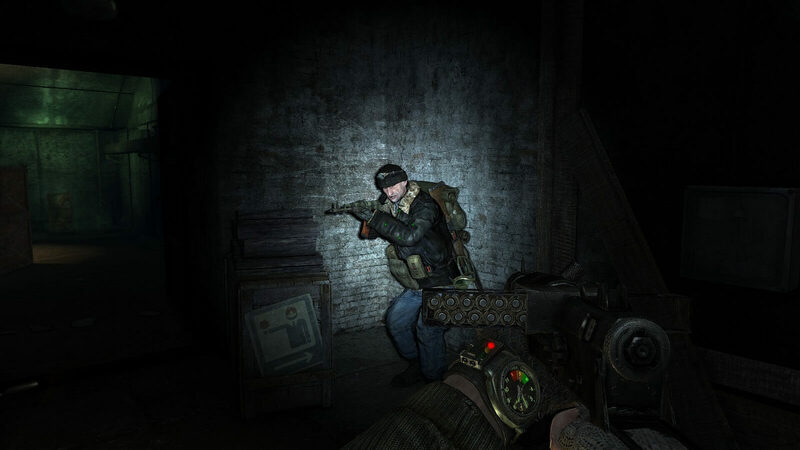 Poor combat is a serious impediment in an FPS at the best of times, but when it’s bundled in with clumsy movement and your own equipment (such as your torch and night goggles) actively making it harder for you to pick out enemies, the result is a frustrating series of combat sections linked to scripted scenes with bad voice acting. The AI is abysmal too, but in that respect the game works in my favour — otherwise it would be brutally tough to proceed, even on normal difficulty. On at least two occasions I’ve sat behind cover and waited for the enemy to run past me so I can pick them off from behind. When they do decide to get a grenade out, it’s so heavily signposted that I can rush them and take them out. “Stealth” sections, such as they are, are so poorly implemented that using throwing knives to quietly take down goons is almost never preferable to a full-on firefight. If one guard has the merest inkling of my location, the entire platoon somehow becomes immediately aware which makes any further attempts at subtlety pointless. So, guns it is. Oh, and there are Nazis now, just because. Still, as a game it’s functional and not unattractive to look at. I have a silenced machine pistol which is the best of the weapons in terms of usability, but not great. Like the rest of the game, it’s average at best. But hey, Metro 2033 appears to found a level and is at least sticking to it, so at least it’s unlikely to get any worse. They have just introduced a child as a companion and things have gotten much, much worse. I hope it's true. I really do. Thankfully, I only had to endure the brat screaming directions at me for a single level. He was delivering his lines with all of the emotion of someone reading from a shopping list, in an accent that was clearly “American attempting to do Russian”. 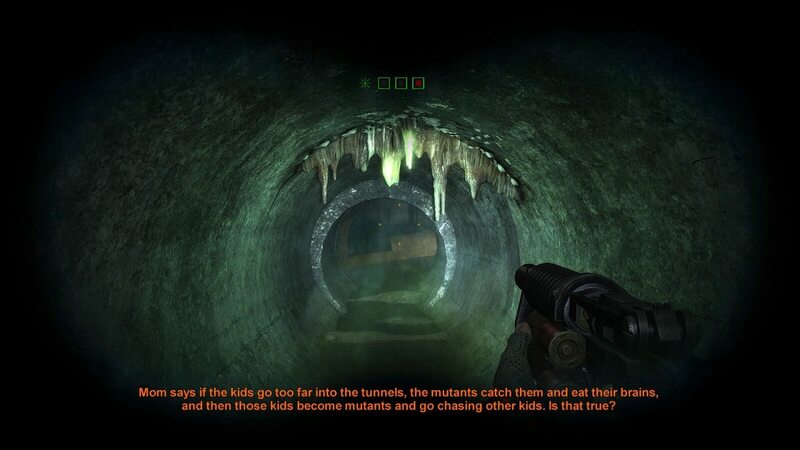 Metro 2033 is full of “fun” little things like this. If I’m not taking orders from a kid, I’m stopping mid-battle to wind up my torch so I can see what the hell I’m doing. Yes, during the design phase of this game someone decided that what players really want to do is put away their gun and use a hand generator to pump power back into their flashlight and night vision goggles. Another fun thing I’ve enjoyed during my time with the game is getting stuck on the scenery. A big open space filled with wrecked vehicles and holes in the ground makes an ideal place for a protracted shooting match with half a dozen goons, especially when you find yourself embedded in a car door, or tumbling into a pothole. It’s even better getting shot repeatedly as you try and claw your way out of the crevice, half-blind because your goddamn torch doesn’t have enough battery. Then there are the holes you need to crawl through which look the right size, but which the game refuses to grant entry to unless you hit them head on at exactly the right angle. At one point I had to switch from using a controller to a mouse and keyboard just so I could manoeuvre my way into a gap which thumbstick movement was simply not responsive enough for. Yay! Putin makes a guest appearance. I have just had to restart a level after the game decided that I wasn’t allowed to use my guns. Of course, I couldn’t restart the level in question to fix it — no, I had to go back to the one before and run through that again. Apparently it’s a bug, and one that has not yet been fixed, nine years on. Sure, the Redux version of the game might be fine. But I’m not playing Metro 2033 Redux. I’m playing Metro 2033, and I’m having a bloody awful time with it. I simply cannot understand where all the praise came from upon its initial release. It feels like I’m only a few hours away from the end so it would be churlish to ditch the game now. I will persevere and see if it somehow turns things around by the finale. I hadn’t factored in the ridiculous number of times I’d have to attempt checkpoints with insane levels of difficulty. At one point, my commander and I had to reach a location which was overrun by gelatinous blobs which exploded when they got close. If either of us died, it was back to the start. I spent half an hour on this damn level, pushing the difficulty down to easy to get through it and even after that it took me another ten or so attempts. I can only assume that if you played this on hard, you’re a masochist and should probably seek help. It’s over, thank the gods. The plot involved activating a missile guidance system to wipe out the Dark Ones, which was only known to a few people for reasons which remain unclear. What I found out once the game was over is that there are two endings and I’d reached the “bad” one — the other ending only being accessible if I’d done enough “good things” in the game. What these virtuous acts are is unclear. I think I encountered one side quest on my playthrough so presumably there were more, but like most of the game’s signposting, a complete lack of explanation that these were pivotal to the ending meant that I overlooked them. It’s the final “screw you” from a game which held me at arm’s length for its entire duration. 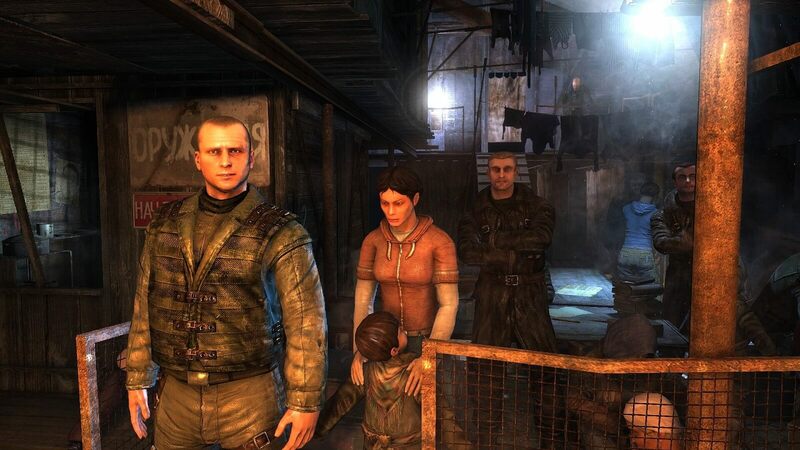 I haven’t come away as disappointed in any other FPS as I did when the credits rolled on Metro 2033. And I include The Walking Dead: Survival Instinct here, which was a complete turd of a game but at least it didn't pretend to hide it. 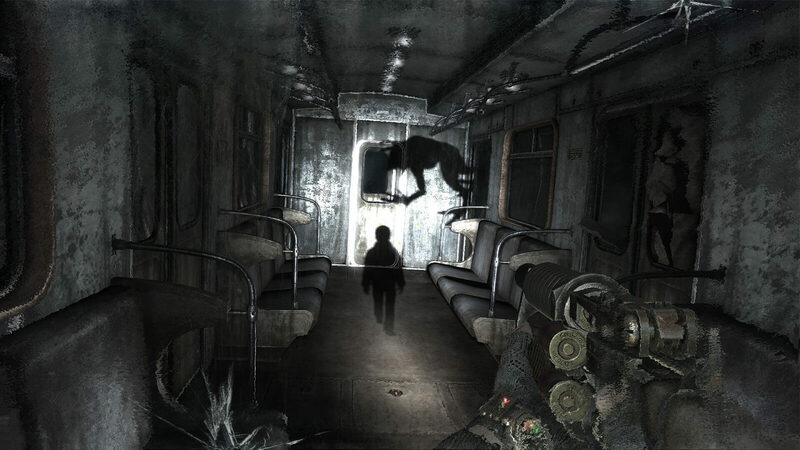 Metro 2033's story was dull, the combat banal, and the controls simply awful. Perhaps I should have played the Redux version, though without a complete overhaul of almost every aspect, it’s unlikely that my opinion of the game would have changed. I’ve still to play Last Light and Exodus, but by all accounts the series improves significantly, so maybe there’s a glimmer of hope. Even so, I wouldn’t advise anyone returning to this first entry, even for the origin story. Watch some other sucker play it on YouTube if you must, or just read the book. It’ll be a far less frustrating use of your time. Worth playing? ABSOLUTELY NOT - unless you hate gaming, and yourself.